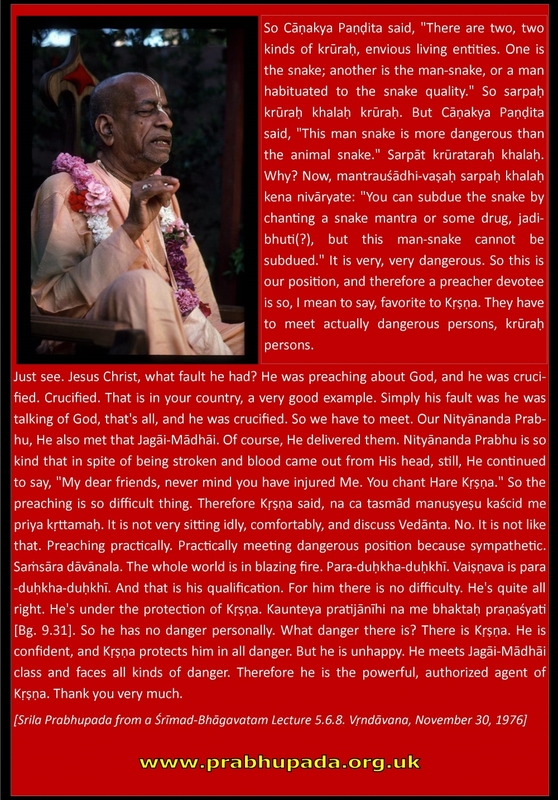 Prabhupada Your Ever Well Wisher: MAN-SNAKE JEWS WILL SUFFER FIRST! 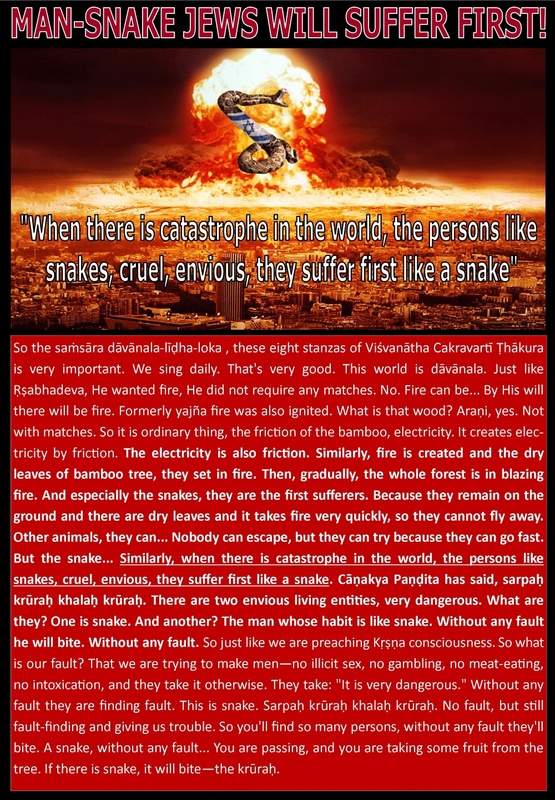 When there is catastrophe in the world, the persons like snakes, cruel, envious, they suffer first like a snake. The earthquakes affects the rakshasas too. But the war actually benefits them. The general godless and envious people along with innocent people suffer from the war. I hope this is correct as I have limited knowledge. Chant Hare Krsna." Read Prabupada books " knowledge is power ".. Be Happy..